Whats up guys? Hope you’re good? So this week I’ll be talking about how to sell beats online, the basic things you need and how to start. 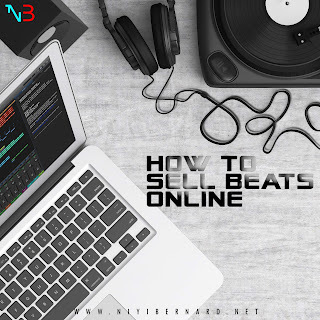 Most music producers have good beats just laying around but don’t know how to turn them into cash, or probably have to convince their friends to buy once in a while, so i'm gonna tell you how I sell my beats locally and internationally let's get right into it. First you need to get a Paypal account, to get payments from different countries, you just need to connect your bank account/debit or credit card to Paypal and its totally free. Why do I use Beatstars? -They don’t charge you for the first 10 beats you upload/sell. -They automatically tag your beats for you, so it can't be downloaded and used without your consent. -Thousands of artistes search for new fresh beats on Beatstars daily. -You can connect it to your Soundcloud/Twitter account. -And finally you can connect your Paypal account directly so once your beat is sold you get your payment instantly!! No worries (That’s why I mentioned getting a Paypal account earlier). So its that easy, you’re almost done. -Work on your social presence. I hope this helped, if there's something you want to know don’t hesitate to drop a comment or send a mail niyibernard@gmail.com and I’ll get back to you asap!